The greatest gift you will ever give your children is your loving, safe presence. And treating everyone around you – especially your partner – with interest, kindness and respect. Lots of parenting goes on in public, particularly as the weather warms. But watching children and their parents in cafes, parks and on the occasional visit to a beach or the zoo, I see that many parents are struggling with some basic issues. How could this be otherwise? We live in an age of anxiety and sometimes debilitating competitiveness. We have masses of information but often little trust in our own instincts and experience. The average age for first-time mothers is now on the far side of thirty. Fathers are no younger. Whatever else they packed in to the years before their first child arrived, there probably was precious little time spent with children. And, even if there had been, spending time with other people’s children hardly begins to prepare you for the awesome task of caring for your own. Long working hours away from children don’t help, either. They can make it difficult to pack enough parenting into the hours that remain to build deep mutual understanding between parents and children. This in itself can undermine parents’ confidence and make the demands of the workplace look very mild indeed. “Calm” parenting can seem like an oasis far away! And yet…we all “know” that calm parents are good for children. We also know that being calm, resilient and flexible is essential if the parents are going to move through these precious years with the appreciation, creativity and joy that children also need. At the most basic level it is vital that parents know how to wind a fraught situation down, rather than up. And know clearly when a fuss is warranted and when it really is not. And fully realize that their children will learn far more from observing their parents’ attitudes and behaviours than from anything the parents are asking for or demanding of them. No point insisting your three-year-old gives up their tantrums if you yourself are constantly agitated, or feel furious or outraged when things don’t go your way. But knowing this can add to parents’ stress and feelings of inadequacy if life with children feels chaotic. And particularly if it seems as though there is little or no time for what matters most: times of easy companionship and mutual care and appreciation between parents and their beloved children. The depth of the relationship between the parents, and their capacity to co-operate with one another, is perhaps the most critical issue of all when it comes to having a calm and happy household. 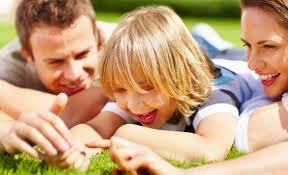 Co-operative parenting teaches children vital skills of respect, mutuality and interest. But even in genuinely co-operative households, one of the most pressing issues for parents of young children is the vexed one of maintaining routines. Far from being “boring” or restrictive, these will go a very long way in keeping children relatively calm and happy. We live in a wondrous world that is also rushed, competitive and tiring. We ask too much of ourselves. We regard ourselves as rich in many currencies, but not in time. We feel and we are frazzled. This makes us more rather than less confused about how to keep our youngest children calm, confident and happy. No wonder then that we often do what seems easiest in the short-term, what gives us a few minutes respite or what “seems to work”, even when we know it really doesn’t. It is possible to take a longer view. But let me say at once how wary I am about expert advice when it comes to children. No one else but you and your partner knows your child like you do. In my experience, the people who are most confident about children rarely turn out to have children of their own. Or they have children, but are supported by a retinue of human wonders: “perfect” partner, their own parents, a “wonderful” nanny, and so on. In other words, they come from a different planet from the messy place where most of us live. 1 Establish routines. And mostly stick to them. 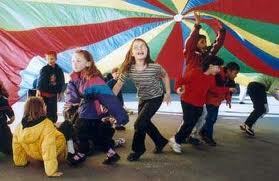 Children flourish when there are rhythms to the day, every day. External order helps them to ‘order’ themselves internally. Any loss of spontaneity is more than compensated for by greater ease and contentment. And occasional shifts in routine won’t matter a bit if the routines are, in general, comfortably predictable. 2 Watch and listen to your own attitudes and behaviours. Your parenting will reflect your attitudes to life more generally. Parenting is a magnificent chance to grow up: to consider how YOU ARE AFFECTING OTHER PEOPLE…and not just how they are affecting you. Think long and hard about the values that you are teaching through your choices, through your care and respect – especially for your partner if you have one, and for close family members. But notice, too, how you talk about people further out from the family circle: is that appreciative, encouraging, generous? It needs to be. 4 Say “No” when you need to. If you must explain, keep it brief. ‘It’s not safe.’ ‘We have had enough treats today.’ Setting limits helps to make a child feel safe. Long explanations confuse the issue. 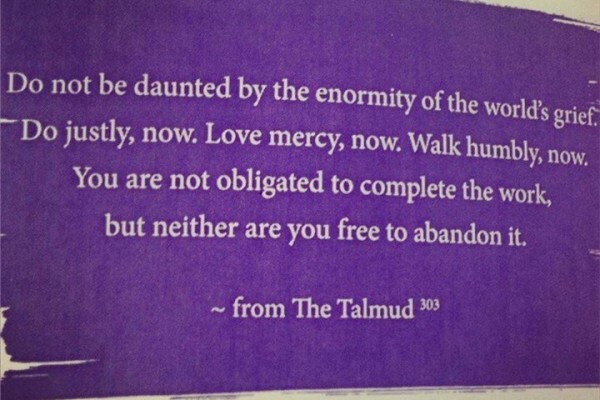 Douse tantrums with disinterest. Parents who are afraid to say no are not helping their children to feel safe – or to learn resilience. We can all get over minor disappointments; we also need to learn bit by bit to get over major disappointments with collapsing or exploding. 5 Talk less – especially about what the child should or ought to be thinking or doing. I hear people overloading their children with explanations that veer between the confusing and the boring. 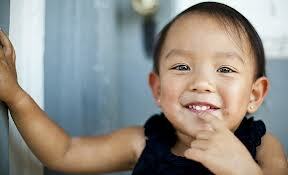 “Talk less and listen more” works for all relationships; children are no exception. Over-talking expresses our own anxiety. It adds to our children’s concerns. Don’t withdraw into silence! But watch as well as listen: if they want more information, they’ll ask for it. 7 Maintain your patience, inner stability and good humour. This means limiting stress, not working late routinely, getting enough rest and feeling inwardly spacious enough to enjoy parenting. The greatest gift you will ever give your children is your loving presence. To achieve this, you must care for yourself. If you have problems with anger, depression, feelings of inadequacy; if you have addictions of any kind (including to technology, over-work, exercise); if you hear yourself making demands on your children to reassure you – please, please get professional help for all your sakes. 8 Create small rituals of beauty. Make a small ceremony of hello and goodbye. Take a few moments before a meal to appreciate the food and company. Light candles even when it’s “just us”. Have a small sacred space in each child’s room where you put things important to them, including photos of your family. Invite people to your home and demonstrate that company is welcome. Say a few words together of appreciation for the day before bedtime. Be unafraid to pray with your children and to compose spontaneous prayers together. 9 Be thankful. And help your children to notice how much there is to appreciate every day. (But don’t force this cheerfulness when they are feeling hurt, upset or confused. At those times, listen.) If it is a two-parent family, it’s a joy beyond words for children to hear each parent express their appreciation of the other one. 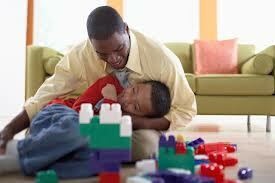 If it is a single-parent family, resist any temptation to disrespect the “other” parent. Appreciate friends and extended family also. Appreciate the world we live in, the friends you have, the beauty and kindness we are free to receive – and offer. 10 Listen when your child confides in you. These moments are golden. The quality of your listening matters far more than your comments. Resist giving advice too quickly. With older children, ask if they would like to know what you think rather than foisting it onto them. Respect their boundaries, their differences from you, their distinct worldview. 11 Treat your children (and everyone else) courteously. There is no other way they will grow in self-respect or be genuinely courteous to other people. Too many parents are still inclined to feel entitled to yell at their children, take out their day’s frustrations on their children, or to use a tone of voice that is undermining and trivializing, or sarcastic – but when called on it will say, “Can’t you take a joke?” It is NEVER a “joke” to speak disrespectfully to another human being, and especially not to the children who depend on you for loving kindness and for modelling the behaviours they will grow to believe are acceptable. 12 Tell them every day that you love them. Never, never use love as a currency to be given or withdrawn. Show them through your interest and attitudes how glad you are to be their parent. And how deeply you appreciate them for who they are: glorious individuals intimately connected with you…and their own person, every one of them. 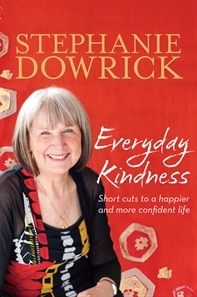 Dr Stephanie Dowrick writes a great deal about parenting in Everyday Kindness.This is available from Allen & Unwin in Australia: from Amazon outside Australia. (We do ask you please to support our local edition if you are in Australia.) 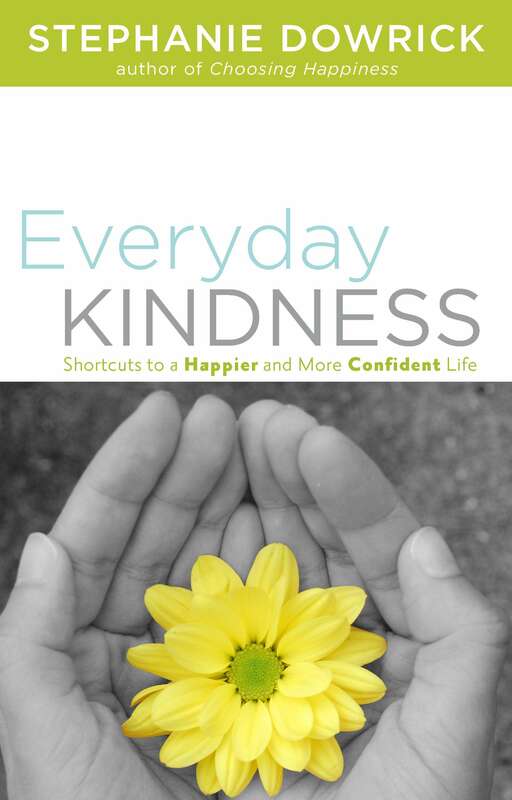 An earlier version of this article appeared in Everyday Kindness. You can comment on this or any other article at Stephanie Dowrick’s Facebook page.